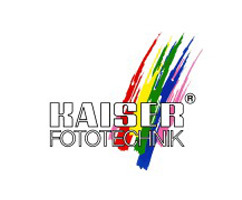 With the help of the Kaiser FlashTrig 16 you can easily synchronise your studio flash units with your camera. 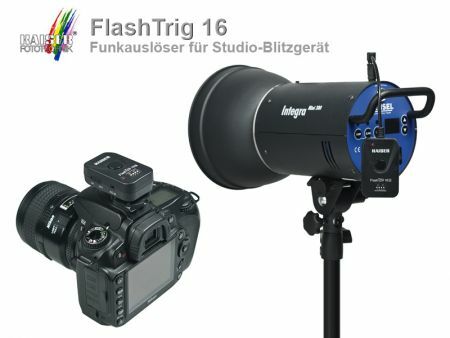 The FlashTrig 16 is due to its standard hot shoe mount, its center contact and additional sync port socket compatible to most of the (D)SLR and digital system cameras. 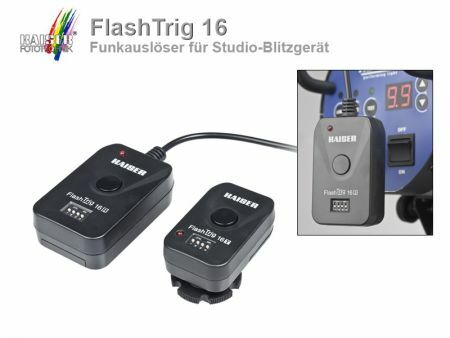 The FlashTrig 16 has a range of 30m and 16 channels can be selected. 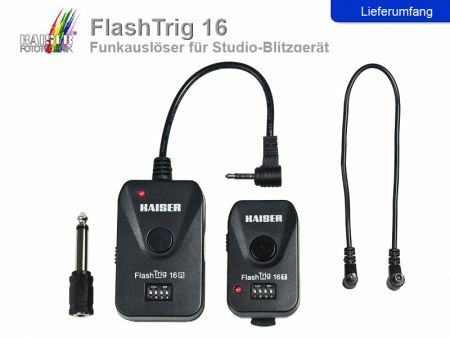 For operating more than one studio flash, you can find additional receiver here!